You’re looking to build some hype around a new product rollout, establish a social presence for your company, or provide some pop to your third quarter sales. Whatever your reason, you need to get consumers quickly engaged with your brand, and you’ve decided a promotional game is the best way to accomplish that. Not a bad decision given how effective contests, sweepstakes and games of chance can be at generating consumer interest. And with social media providing the perfect platform for rolling out these tactics, they’ve never been easier to administer. The unfortunate corollary to that fact, however, is that it’s also never been easier to get your company into a world of trouble (and by trouble, I’m talking about the criminal kind) for what may seem like a perfectly innocuous sweepstake. The hard truth is that due to gambling laws that vary considerably from state to state, the difference between a well-executed promotional effort that sparks consumer interest, and an illegal lottery that puts the Attorney General’s office on notice, can be very small indeed. How small? Read on. The first thing to do is define what an illegal lottery is, and that can be done in three simple words: prize, chance and consideration. If your promotion contains all three of them, it’s a lottery, and it’s illegal. But knock at least one of them out and, with a few exceptions, you’re not violating gambling laws. The prize part of that definition is self explanatory, but if you’re interested in conducting a successful promotion there isn’t much you can do to avoid the prize. Nobody plays a game for a chance to win nothing. The element of chance is present when a promotion’s winner is selected at random, and the winning participant owes his success to nothing more than pure, blind luck. The last element, consideration, is simply the act of a participant giving up something of value in exchange for entry into the promotion. This could be a straight pay-to-play requirement, but more often it’s a requirement to purchase a product or service. Money changing hands however, isn’t necessary for consideration to be present. Consideration can exist when a participant invests significant time or effort to enter a promotion, such as when she’s required to fill out a survey, post something to a Facebook page, or retweet a message. How much time and effort does it take to establish consideration? That isn’t always clear, and varies depending on jurisdiction, but the more requirements an administrator places on participants, the better the chances that consideration is present. Because the prize component isn’t going anywhere anytime soon, that leaves two primary ways of avoiding the unintentional establishment of an illegal lottery. The first, and most popular way, is to remove the element of consideration. If you create a promotion involving a random drawing that’s free for all to enter, then you’ve created a legal sweepstake. Consideration may still be present, but the key is that you can’t require it. That’s the reason all sweepstakes must include the disclaimer “no purchase necessary.” Paying customers can be participants, but the payment can’t be a necessary step to entering. And as long as both paying customers and non-paying participants have the same chance of winning, no lottery is created. In the case of non-monetary consideration, such as the tweet or the Facebook post, giving the participant the option of doing these things, without requiring them to do so, will ensure the absence of consideration. The second way to avoid the lottery label is to remove the chance element. If a winner of a game is not selected at random, but rather by some pre-determined criteria such as skill, knowledge or ability, then your promotion is a legal contest. Examples of contests are trivia challenges (radio call-in shows are great example of contests), literary and photography competitions, or any promotion where participant submissions are judged based on their artistic merit. An important thing to note however is that while removing the chance element alone more often than not obviates a finding of a lottery, several states, like Colorado and Maryland, require contests to also omit consideration in order to be in compliance with their gambling laws. So when conducting a contest it’s critical to know what jurisdictional requirements both you and your participants are subject to. If your contest requires an entry fee, then residents from the select states that don’t allow it must be excluded from contention. 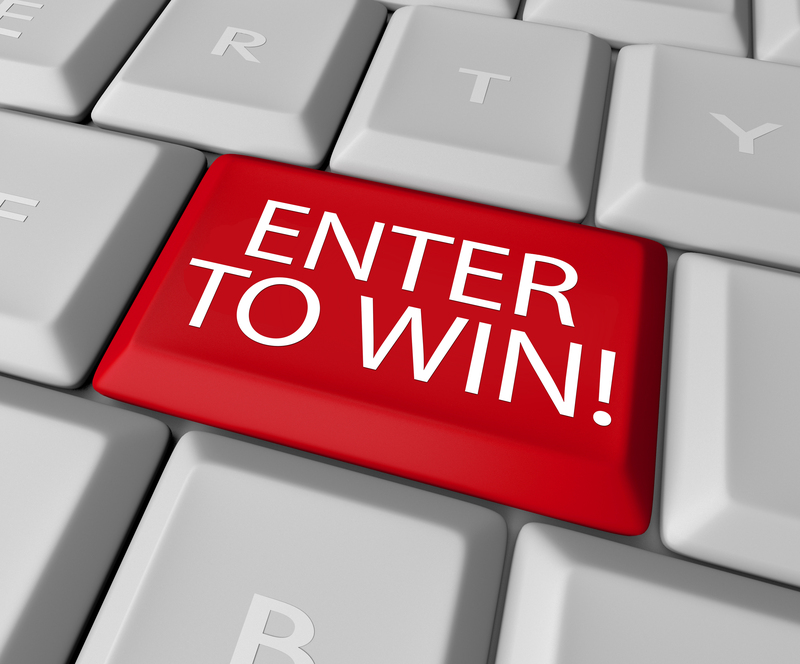 Both sweepstakes and contests, while legal, are highly regulated activities that are subject to often onerous disclosure requirements. As a result, all promotions of these types require, at a minimum, creating and disseminating official rules that include everything from eligibility requirements to the retail value of the prizes being offered. But many states require even more. For example, if you’re running a promotion in New York or Florida, you need to register it with those states if the total value of your prizes exceed $5,000. What this means, practically, is that conducting sweepstakes and contests can be cumbersome, time consuming and expensive. But that’s nothing compared to what they can be like if administered improperly. There’s no sugar coating it: running sweepstakes and contests touches on a complex area of law, complicated further by the nuances in the various state laws. So if you’re considering these kinds of promotions, it’s advisable to consult a qualified professional during the planning phase. Getting a professional involved early to review your promotion and ensure that it complies with all applicable laws and regulations can make the process a lot less stressful. And it will let you keep your focus where it belongs: on your marketing objectives.